Calvary Chapel Lakeside was started on July 8, 1991 when Pastor Bill Bottger was sent out by his Pastor, Dave Riley of Calvary Chapel La Mesa. This was after setting out a fleece that God answered quite clearly. Calvary Chapel Lakeside met at Lemon Crest Elementary school, then moved to a strip mall on the northwest corner of Channel Road and Woodside Ave. After many build-outs at that location, the cost of the lease exceeded the “potential” cost of a mortgage and the elders of the church prayed for God’s leading as to whether CCL should purchase a property or continue at that location. By the prayerful suggestion of church leadership, two properties were considered: 9839 River Street, which was for sale, and 9836-9840 Maine Street, which was up for lease option. During the time of prayerful consideration, the River Street location was sold and was in escrow and so the Maine Street property took the focus. At the same time, the Montessori Preschool of East County was interested in the Maine Street property as well. After much prayer and saving towards a possible down payment, escrow fell through on 9839 River Street. God had chosen our new home and despite the plans of man, He was going to place us here. Over $110,000.00 for a down payment was raised in less than two months. Since the purchase, the building and property have been in a continuous state of incremental remodel and improvement. 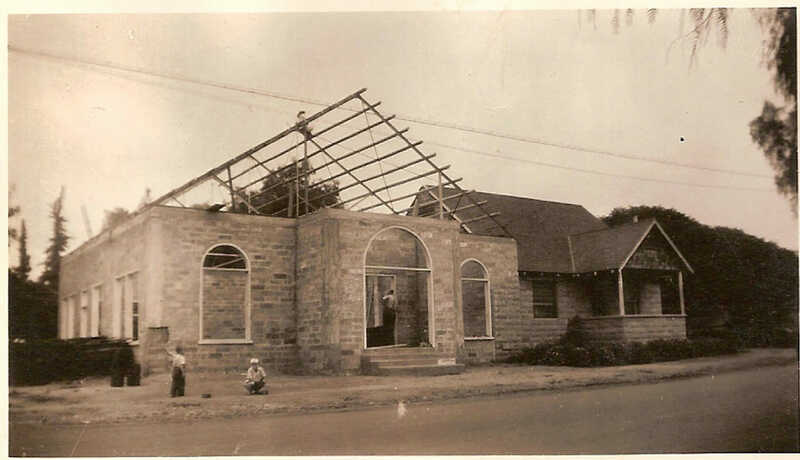 9839 River St sanctuary under construction in the 1940s. The 9839 River Street building (house/parsonage section) was built approximately 1939 and each brick was hand made by the church members. At that time services were held in the town hall, the library, a tent and the bakery building on Sycamore. On September 11, 1944, Francis Burtch, a single woman, sold the property to the Wesleyan Methodist Church of America for $10.00. 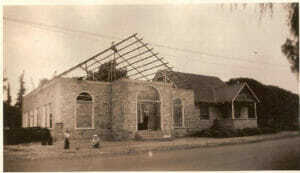 The sanctuary was completed late 1946 and the first meeting in the newly completed church was on Thanksgiving Day 1946. 9839 River St. sanctuary under construction in the 1940s. In the mid 1970’s, as a result of regularly increasing attendance, the Lakeside Wesleyan Church moved to a new location on Los Coches Road (which is now Seven Church). The River Street building was subsequently sold to the Masonic Temple Association. In the 2000’s, as a result of decreasing attendance, the Lakeside Masons moved to the El Cajon location and placed the property up for sale. 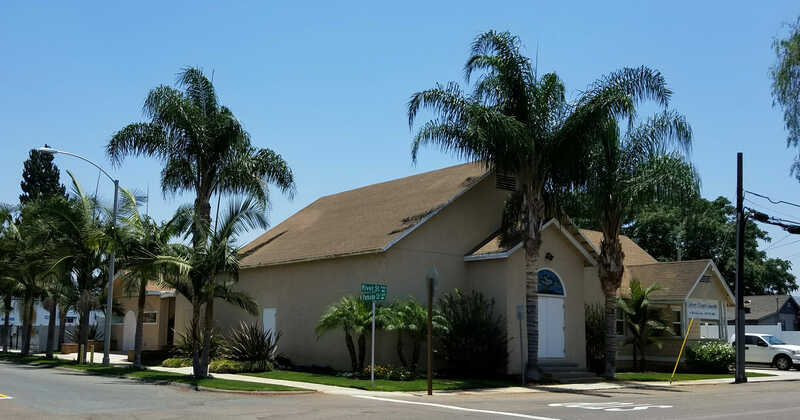 On May 25, 2005 the building was purchased by Calvary Chapel Lakeside and the first service was held that Sunday, May 29, 2005 amidst the ongoing remodel of the sanctuary walls, doors and windows, ceiling, electrical system, and HVAC system. Calvary Chapel Lakeside had previously held services at 9828 Channel Road where their lease ended May 31, 2005. Calvary Chapel Lakeside has occupied this building now since May 2005. The remodeling of these buildings has been lead by Pastor Bill Bottger, along with the assistance of many gifted men and women of the church. Romans 3:20: Here I am! I stand at the door and knock. If anyone hears my voice and opens the door, I will come in and eat with him, and he with me. Proverbs 5 & 6: Trust in the Lord with all your heart and lean not on your own understanding; in all your ways acknowledge him, and he will make your paths straight.